The Colorado Rockies defeated the Houston Astros, 5-1 on Tuesday night to move to 64-55 on the season. In the victory, third baseman Nolan Arenado, who was filling in the role of designated hitter, launched his 30th home run of the season. The two-run home run gave the Rockies a 2-1 lead in the sixth inning, a lead that they would not relinquish. 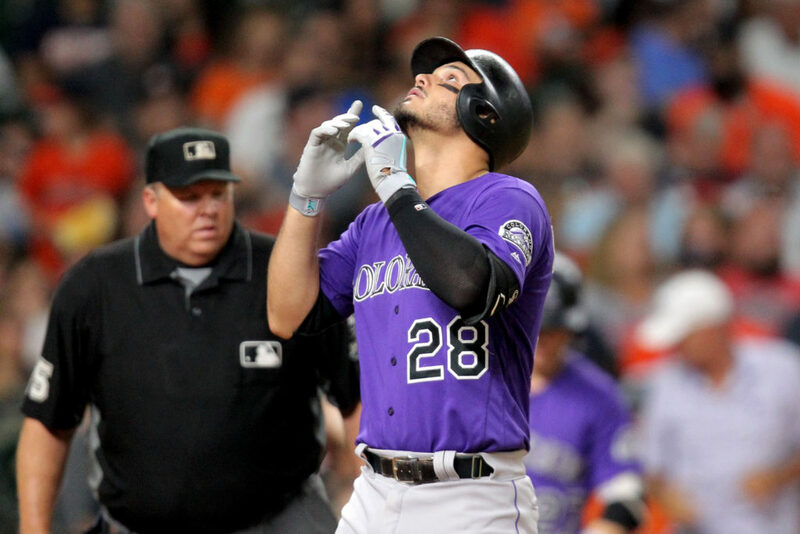 Arenado also joined an elite list of Andres Galarraga (4), Larry Walker (4), Todd Helton (6) and Vinny Castilla (5) as the only members of the Rockies to hit 30 or more home runs in 40 consecutive seasons. In six seasons with the Rockies, Arenado has 928 career hits, 177 home runs and more RBI (588) than strikeouts (534). Arenado is a four-time All-Star, five-time Gold Glove winner and four-time Silver Slugger.